Woodland Ltd. – Committed to Creating Excellence! With over 35 years of industry experience, look no further than Woodland Ltd. when renovating your kitchen and cabinetry. We design every job specifically to our clients wants and needs, and then manufacture at our own facility in Bolton, Ontario. Woodland cabinets are second to none, and your satisfaction is guaranteed – we aren’t done until you are happy! Our work has even been featured on the Marilyn Dennis show. Need some inspiration or ideas? Have a look at our gallery to see what your new kitchen could look like, when you choose Woodland Ltd.! Our Process – From Ideas to Installation! The process begins with discussing your ideas as well as our recommendations. Together we’re on our way to creating the most beautiful, genuine kitchen cabinetry you could imagine! After combining your ideas and our recommendations, our team will begin the process of designing your dream kitchen. Once the design is approved, we move into production. 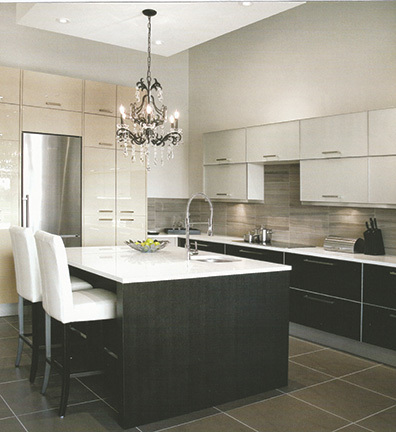 All of our kitchen cabinetry is custom manufactured by us in our facility in Bolton, Ontario. The last step is the best step – installation! Congratulations, your dream kitchen is about to become a reality! Are You Ready to Start Planning Your Dream Kitchen? Copyright © 2016 Woodland Ltd., All Rights Reserved.